I'm late again - I don't know why I don't just call it Foodie Friday On A Saturday and be done with it lol. Never mind today I'm going to talk about eggs, no not the chocolate ones that we're all lusting after at the moment but the ones in your cakes, fry ups, and pancakes. I've always loved eggs in there various guises since I was tiny, but probably more so since I became a lacto-ovo vegetarian more than 17 years ago. Eggs are a fabulous source of protein, vitamins and minerals. The average hen's egg contains vitamins including A, D, B2 and over 56% of our daily allowance of Vitamin B12. As a vegetarian I'm all for animal welfare and whilst eating eggs can be a little controversial, it is possible to buy more ethically sourced eggs from your local supermarket. I'm lucky 90% of the eggs consumed in my house come courtesy of two of my uncles who both keep their own free range chickens but when I do buy eggs I try to choose wisely. The amount of eggs on display in the supermarket can be quite baffling these days but something to look for is the British Lion Egg mark. This British Lion scheme which launched in 1998 is designed not only to protect consumers but also to protect producers, farmers and the birds themselves. Their code of practise means amongst other things means that the birds are vaccinated against salmonella, and that each egg is fully traceable from farm, to the chicken to the egg. Members of the scheme must also have higher animal welfare standards than are required by law, and standards that match the RSPCA's own Freedom Food principles. 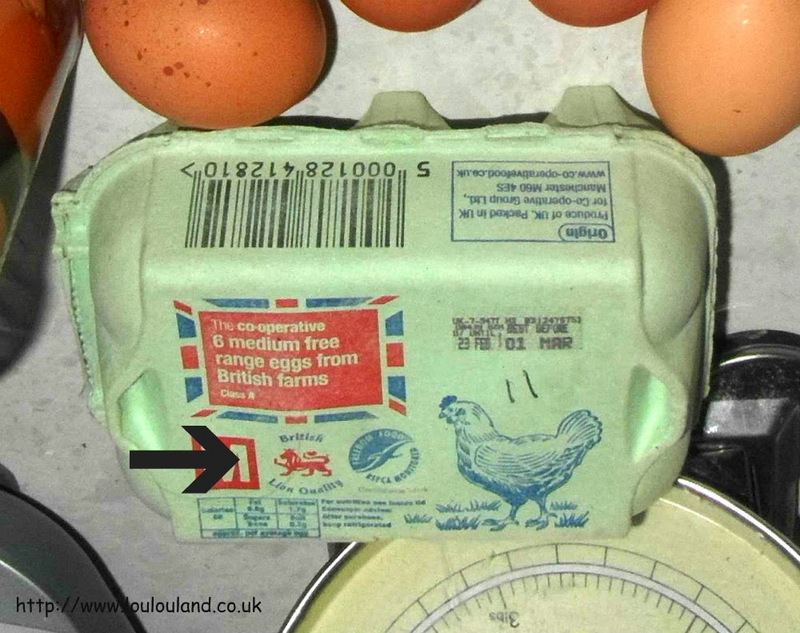 All you need to look for is the British Lion logo both on the egg box and printed on the eggs themselves to buy eggs from producers that take part in the scheme. Throughout this post you can see pictures of just some of the things that I use eggs for, from scrambled eggs on a bagel to serving a soft boiled egg with steamed asparagus, and if you check out my recipe page above you can also find out some of the other recipes in which I use eggs. I've got a couple more suggestions for you here but you can also find lots more recipes on the British Lion Eggs recipes website which includes recipes from chefs including Gizzi Erskine, Paul Merrett and Lesley Waters and from celebrities such as Michelle Keegan and Liz McClarnon. 3.Spray a loaf or a muffin tin with Fry Light. I'm using silicone here but a couple of sprays just make it easier to get out. Preheat the oven to about 180 for a fan oven. 6.Then pop it into your tin and bake for around 30-40 minutes. 7. You can then leave it in the tin till its completely cold or you can leave it for about 20 minutes, if your serving it warm. It will crumble a bit but it doesn't really matter. I'm serving it with salad here but you can serve it with veg or chips or even as a snack or in a packed lunch. 1. Chop up your spring onions, and peppers, and finely chop your garlic. 3. Spray your pan with cooking spray, I'm using the garlic one here for extra flavor you could also use oil if your not watching your weight. Then add your peppers and garlic and cook over a medium heat. I'm serving mine with veggie sausage casserole but you can serve it with anything you like on it's own even or with sweet n sour or even chilli.